Supplier & Manufacturer of Adjustable Chairs & Adjustable Chair. 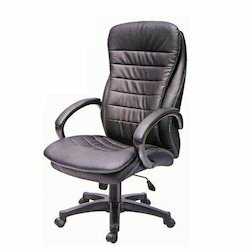 Our product range also comprises of Corporate Chairs, Executive Chairs and Executive Revolving Chairs. Our clients can avail from us an excellent range of Adjustable Office Chair that are specially designed in accordance with their varied requirements. We utilized high-grade raw material for manufacturing these products so as to ensure their long lasting performance. ?These chairs are available at market leading price and delivered to our clients in a timely manner. Moreover, we ensure their quality by tested these products on different parameters under the supervision of our diligent professionals.